Two years ago, Vancouver hosted the Winter Olympics and I designed a mitten pattern. 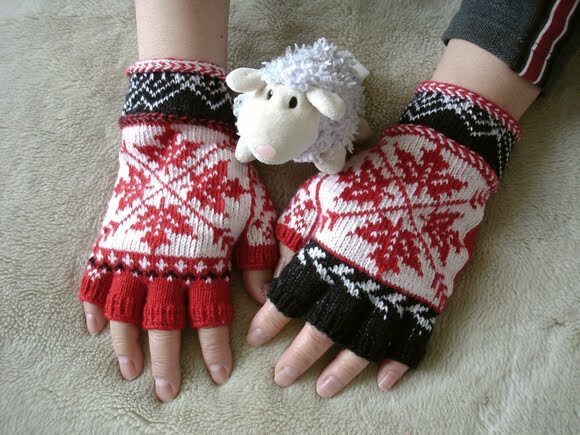 I designed it because the Olympic mittens that were all the rage (red, with white rings on the back) and made by The Bay were almost impossible to get and silly-expensive. And people liked it. 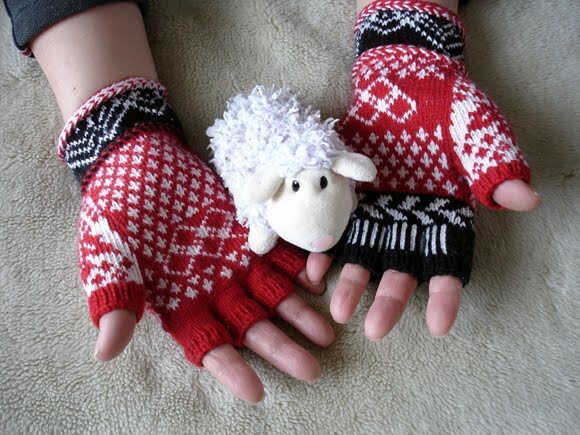 Over nine hundred people liked it and over seven hundred of them downloaded the free pattern. It was a little astonishing, frankly. Then I more or less forgot about the mitten pattern. People knit variations of it, some with the long format and others with the modification that I made for shorter hands. It was nice to see people use it. Fingerless mitts, based on my pattern! I think I like these better than my original pattern. In fact, I fully intend to make myself a pair, with flaps to fold over the fingertips, for cold days of photographic discovery. So effectively I’m going to make a modification to a modification of a pattern that I made in response to another pattern. Craft and its makers never cease to amaze me. Previous Post Look up. Look waaaaay up. Love your mittens and the subsequent homage. Please post a photo of the glittens if you make them. I’m not a knitter but I appreciate a good stitch – I still have the last pair of diamond pattern mittens my grandmother made for me in the late 70s. Will do! I just need to find some time to get at them. This current project is gobbling up any creative time I might have. Can’t wait to actually get back to MAKING things!